Legend tells of an ancient game where warriors battle for their lives on a giant chessboard. Each opponent, represented by a playing piece, must be challenged and defeated one by one. Only the courageous may step forward to make the challenge. It is said that it is a remnant of the battle between angels and demons. 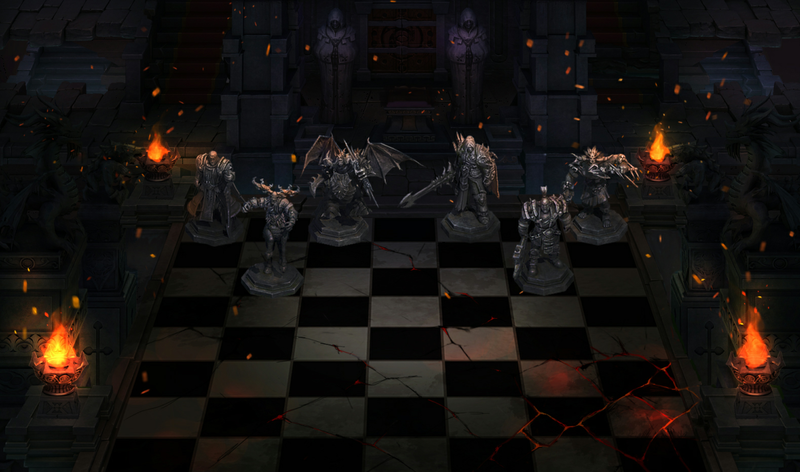 Once you enter the realm of Chaos Chess, the giant chess pieces will move forward to accept your challenge. Each enemy will transform from their petrified stone state into living, breathing flesh, and will begin to attack. Will you survive to tell the tales of your battles?